Star Wars Day is an unofficial holiday that started in 2011, but popularity has quickly spread. Star Wars fans all over the world celebrate with fun Star Wars Day activities such as parties, movie marathons, games, or even just by saying “May the fourth be with you” to each other. Some retailers even offer special deals like 20% off everything and a free Star Wars pin at ThinkGeek! 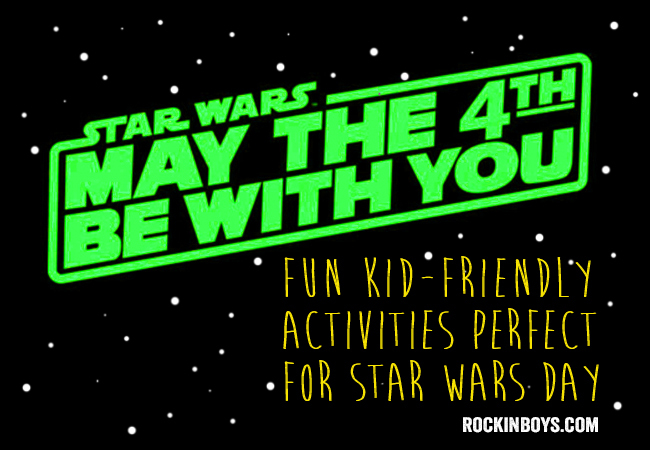 At Rockin’ Boys Club, we love celebrating Star Wars Day with our families, and we want to help you celebrate it too. We’ve put together a list of fun and kid-friendly Star Wars Day activities that are perfect for families! 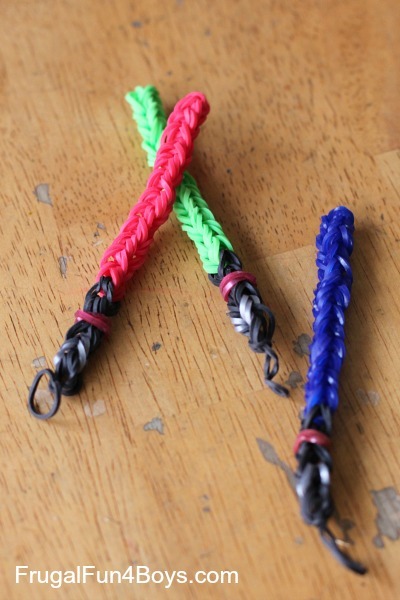 Make Rainbow Loom Lightsabers. All you need is some of those rubber bands that you probably already have lying around your house, and a crochet hook. Make an easy No-Sew Star Wars Rebel Costume for some Star Wars-themed dress up play. Have a Star Wars photo shoot with a DIY Photo Backdrop and free photo overlays. Cut out and decorate some Clone Trooper Paper Dolls. Such a simple and creative craft. Turn trash into a toy by making an awesome Upcycled X-wing Fighter! 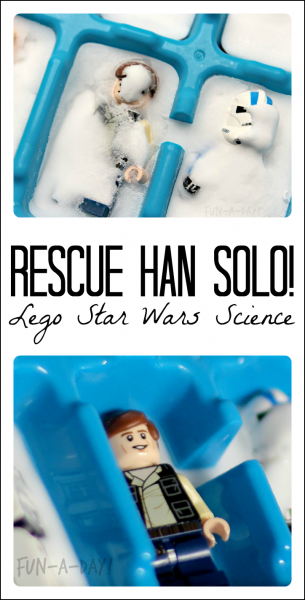 Rescue Han Solo, and other Star Wars characters, from carbonite with a fun science experiment, using basic ingredients from the kitchen. Build some Counting Block Lightsabers, and learn math while you play! Use this R2-D2 Perler Bead Pattern to make your own beaded droid! 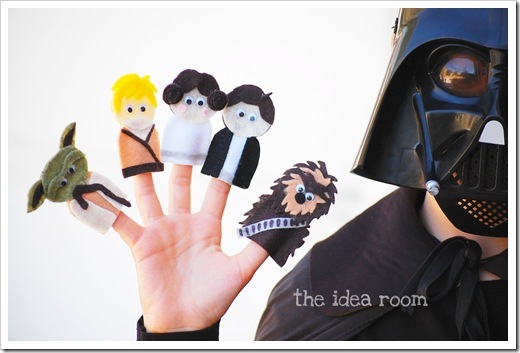 Grab this $4 pattern from The Idea Room and make some adorable Star Wars finger puppets. Practice coloring and handwriting too with these free printable Star Wars coloring pages. Get out your Star Wars figures and play Star Wars Moon Dough. These ARE the droids you’re looking for! 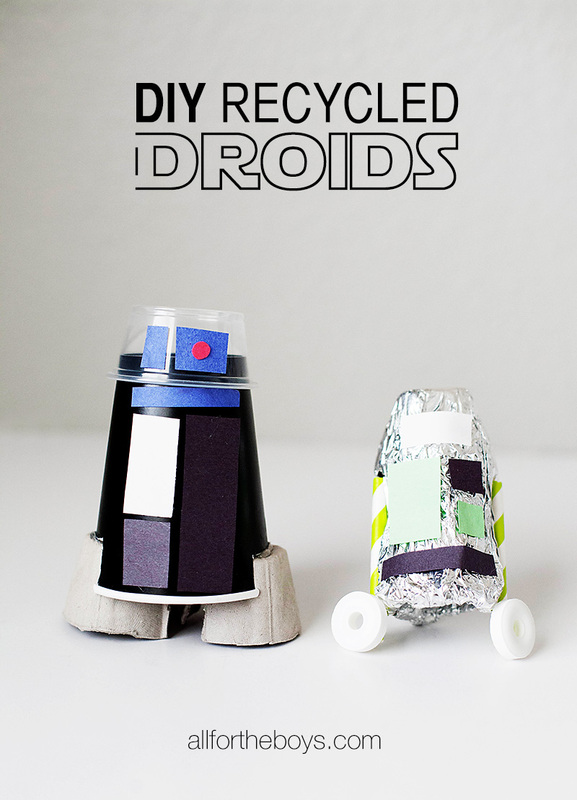 Make this super easy DIY Recycled Droid Craft. After dinner, upgrade your dessert with easy felt lightsaber freeze pop cozies. And finish off Star Wars day by telling some Star Wars bedtime stories! Those recycled droids are too cute! So fun! Thanks for sharing our X-Wing Fighter craft.